When you set up a limited company, your personal and business finances are kept entirely separate (unlike the sole trader route). Unlike life as a salaried employee, you are now responsible for overseeing your obligations, by registering to pay tax on your company income, and ensuring that any liabilities are paid to HMRC on time. After incorporating your new company, most people appoint an accountant to take care of their tax affairs on an ongoing basis. Some company owners prefer to take care of day-to-day accounting duties themselves, and just use a professional accountant at year-end, to prepare their company accounts. For the majority of company owners, however, choosing the right accountant from the start is an important step, as you are likely to have quite a few questions following the initial start-up process. Once you have appointed your accountant as your ‘agent’, they can then deal with HMRC on your behalf. More on getting a limited company accountant and accountants for limited companies. All limited companies must pay Corporation Tax on their profits, and one of the first things you will do as a new company owner is to register your new company to pay Corporation Tax. Each year, your company must complete its company corporation tax return (CT600). You must also pay any Corporation Tax owed within 9 months and 1 day of your company’s ‘normal due day’, which is typically the anniversary of when the company was formed. For smaller companies, the current ‘small companies rate’ is 19% on profits up to £300,000. For larger companies with profits of £1.5m or more, the main rate is also 19% (2018/19). Between these two thresholds, a system of ‘marginal relief’ is applied. Try our Corporation Tax calculator. If you are likely to turnover £85,000 or more during any 12 month period (this is the 2018/19 threshold), you must also register your company for Value Added Tax (VAT). Essentially, you collect VAT on behalf of HMRC but adding the prevailing rate to your invoices (the standard rate is 20%). Once you deduct any VAT your company may have spent during a VAT quarter, you pay the balance to HMRC. There are several types of VAT scheme available: the ‘cash’ scheme enables you to only repay VAT to HMRC once payment has been received by you, and the Flat Rate VAT scheme provides a simpler way of calculating tax, by allowing you to apply a flat VAT percentage when calculating your liabilities. Your small business accountant will be able to work out which scheme is most likely to suit your business. The other initial task you (or your accountant) is likely to do is to set up your company payroll. If you and any employees receive a salary, then income tax and National Insurance Contributions (NICs) are deducted at source and paid to HMRC on a monthly or quarterly basis. Even if you don’t pay any salaries which breach the lower threshold for tax or NICs, you must still notify HMRC that no tax is due for that period (this is a simple process). 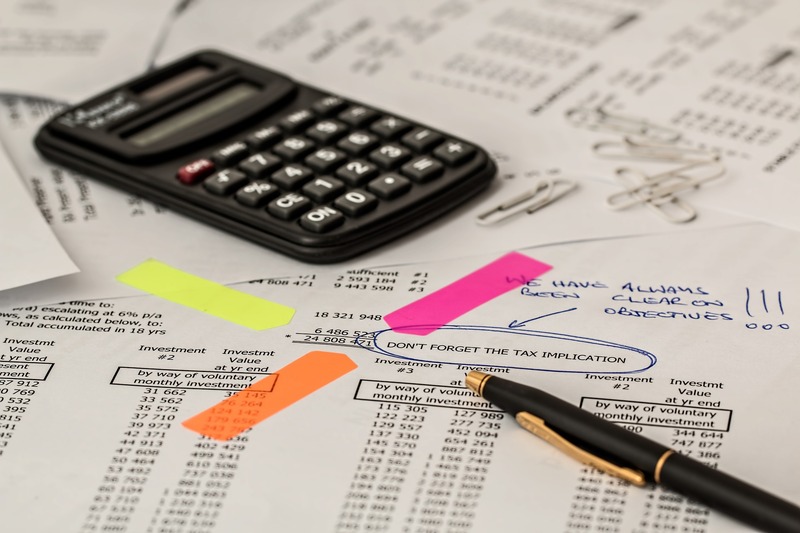 Alongside the main taxes your limited company is liable to pay, you will also have to pay tax on any income your receive personally, typically in the form of salary or dividends drawn from your company (see our dividend calculator for computations). You settle your personal tax liabilities via the self-assessment process each year. Submit your personal tax return, together with any taxes owed, by 31st January in the year following the end of the tax year in question. You may also be liable to Capital Gains Tax on any assets you have disposed of during the tax year (such as shares, investments, or property). The current standard CGT rates are 18%, or 28% (applied to higher rate taxpayers). If you sell your own company and have owned the shares for at least 12 months, then you may be eligible to pay Entrepreneurs’ Relief on the proceeds – at a flat rate of 10%. More on the latest tax rates and allowances.